Purpose: This fund is a tribute to Holly Day Barnett. Awardees (advanced undergraduates) have traits common with Holly's: outdoor hobbies, leadership skills, and interests in the application of environmental Earth sciences. Awarded to one full-time undergraduate major in Earth Sciences. Candidates must have interest, ability, enthusiasm in: 1) applying the Earth sciences to present environmental issues, 2) non-academic activities demonstrating maturity, leadership & breadth of character, and 3) enjoyment of the outdoors/nature. History: Holly Day Barnett grew up in Chico, where she spent much time hiking in Bidwell Park and swimming in Chico Creek. She was captain of the Chico High School volleyball team, and traveled to Belize with her sister Heather and to Hawaii many times with her family, where she enjoyed scuba diving. At U.C. Santa Cruz, Holly majored in Geology and Earth Sciences, waitressing all four years to help put herself through college. She enjoyed fieldwork, especially the 1996 Summer Field. Senior year, her coursework in water quality topics brought her to the attention of U.S. Geological Survey personnel teaching the course, and upon graduation in the summer of 1997 she secured employment in the U.S.G.S. Sacramento office, where she joined a team studying the movements and effects of pesticides in the North Delta of San Francisco Bay. While at Santa Cruz, Holly developed a passion for mountain biking, and in 1998 she added Adventure Races to her busy life. In the High-Tech Adventure Race at Folsom in July, her team placed twelfth out of 165 teams, being the highest-placing nonprofessional team. 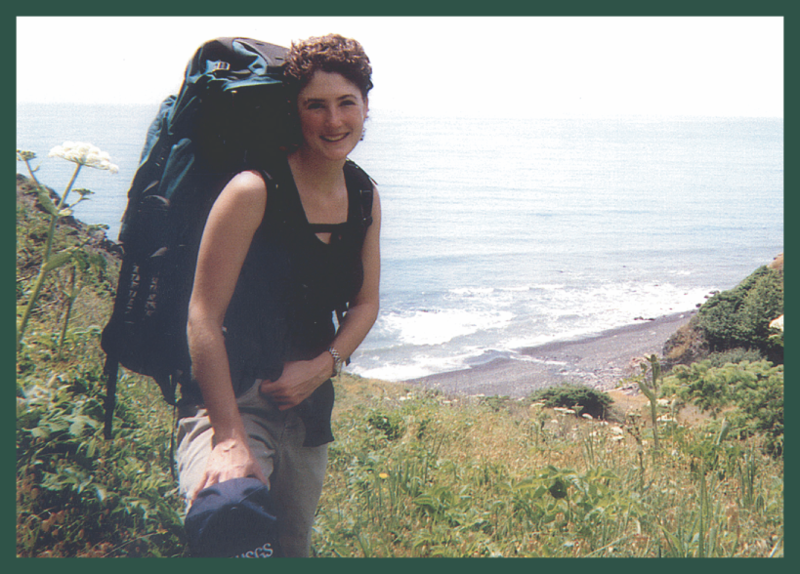 Holly's love for the natural world earned her the nickname of "Hiking Holly" in her family. She especially loved Lassen Park and the Trinity Alps, as well as the coastal areas of Santa Cruz and the Lost Coast. Holly was diagnosed with a lymphoma tumor in September of 1998, and died of the cancer in January of 1999, surrounded by her family. Her life, though short, was rich and full. Her passionate engagement in life won her a wide circle of dear friends. Her friends and faculty at U.C. Santa Cruz joined with her family to create the Holly Barnett Memorial Grant, awarded annually to an Earth and Planetary Sciences major who shares Holly's dedication to the application of science to bettering the earth's environment, as well as her enjoyment of the natural world.